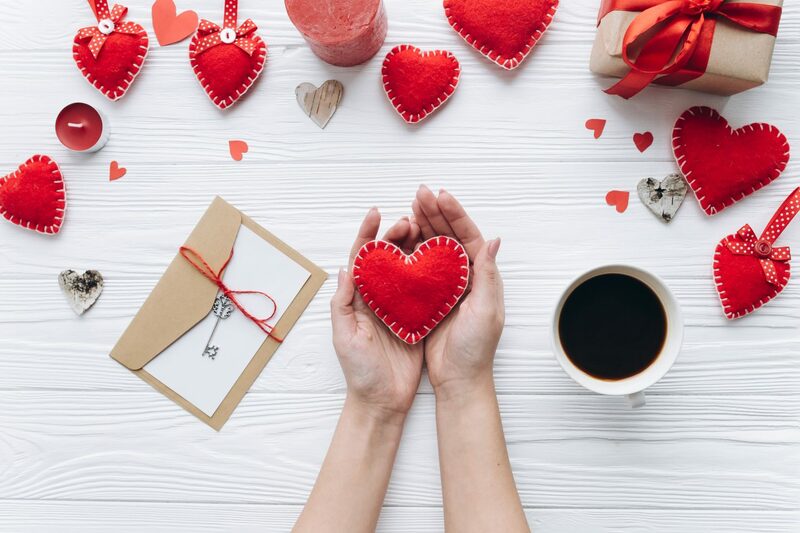 As Valentines Day is just around the corner, I felt it was time to share this quick and easy DIY which is perfect for Valentines Day. Or any other time of the year if you want to show the person you love them each day. 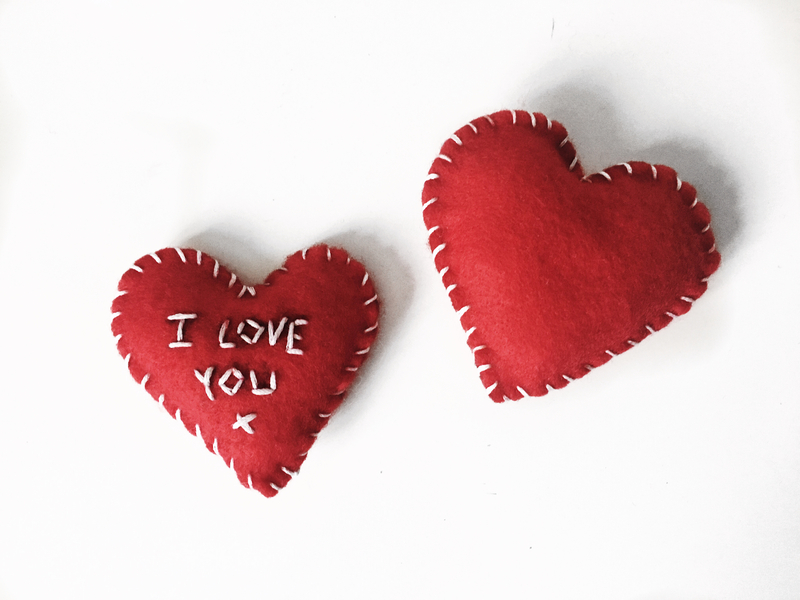 These make great little gifts that can be fully customised, whether you want to add some writing, or change the colour it’s completely up to you. 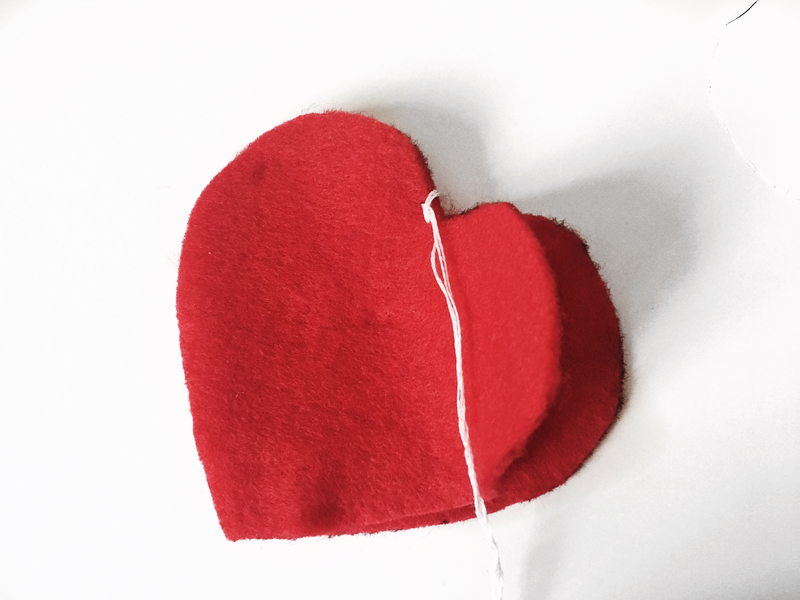 So if you would like to know how made these quick and easy hearts then keep reading. Gather the tools and materials that has been listed above. 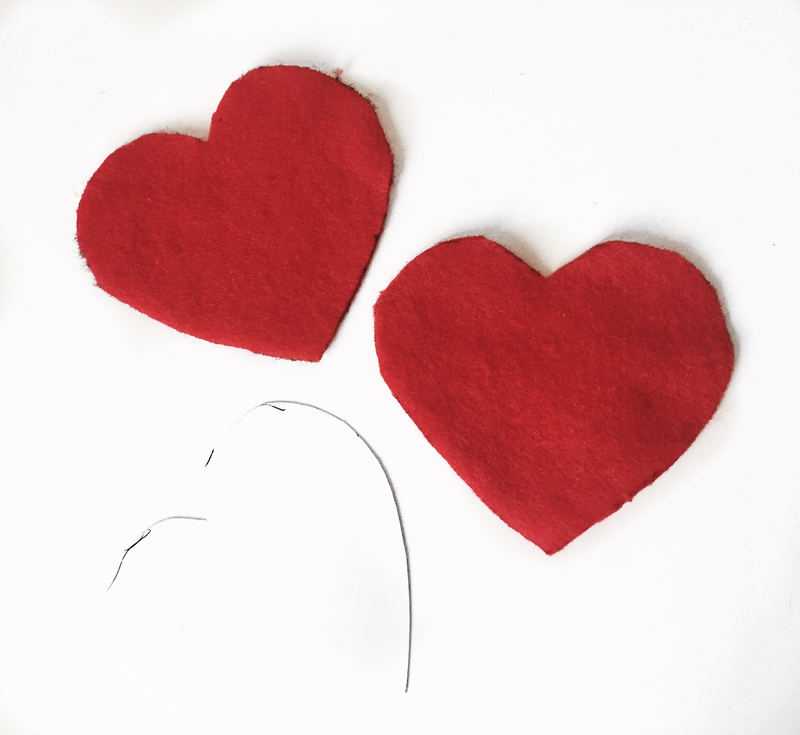 Print out a heart template and cut out the shape. Place the shape onto the felt and draw around it with a market or pen. 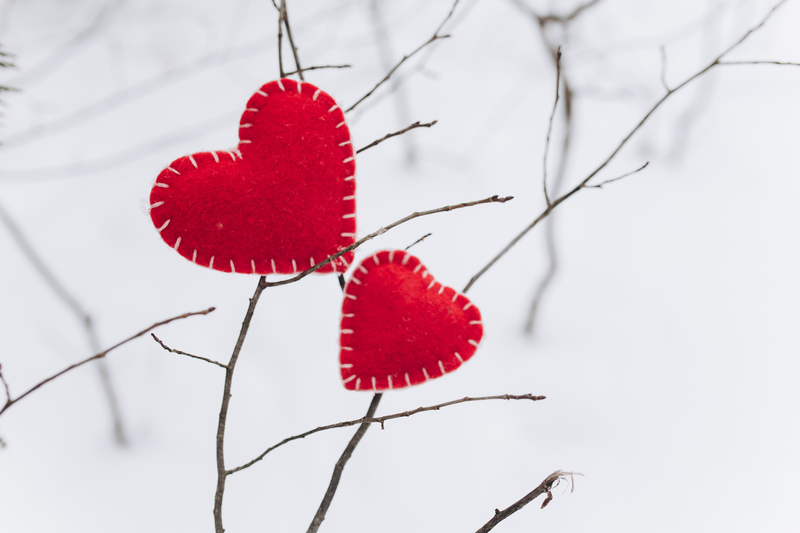 Repeat again to get another heart. 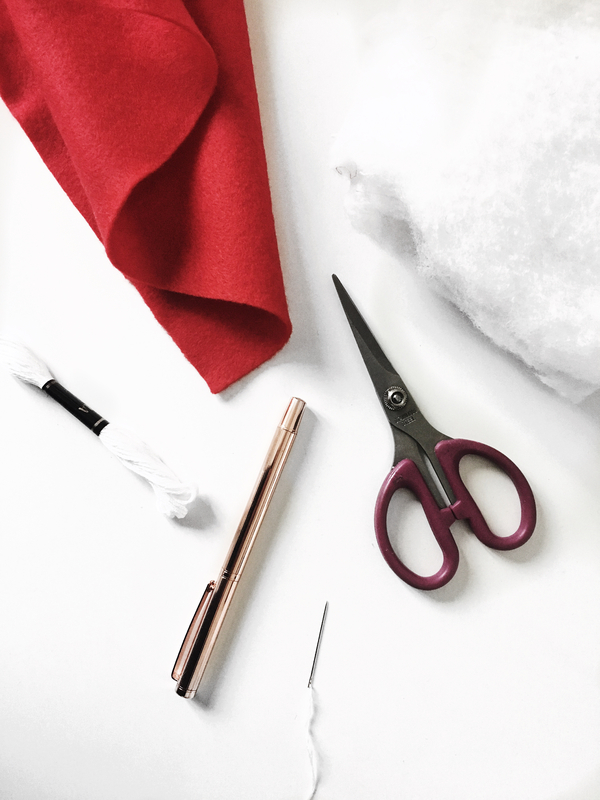 Cut the felt pieces along the lines you have drawn onto the material. 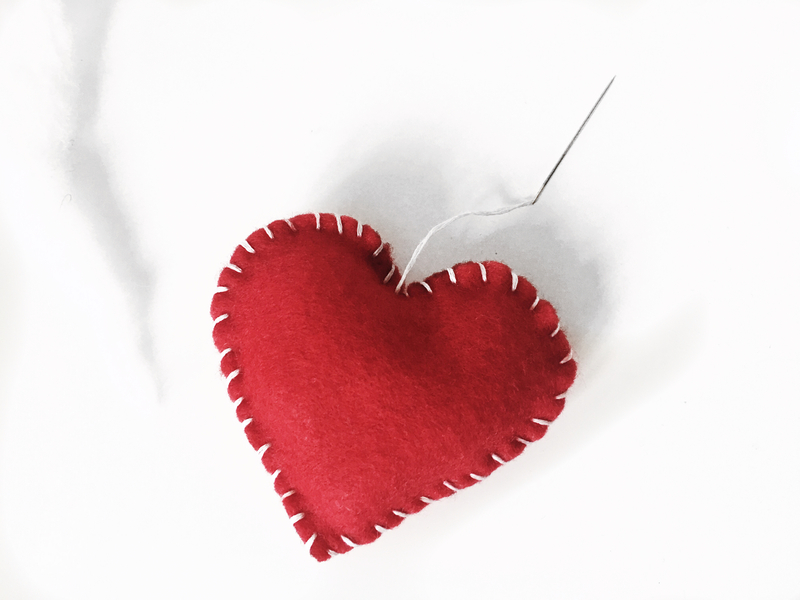 You should be left with two hearts that have been cut out of felt. Line up the two hearts with the sides you left the marks on, on the inside. 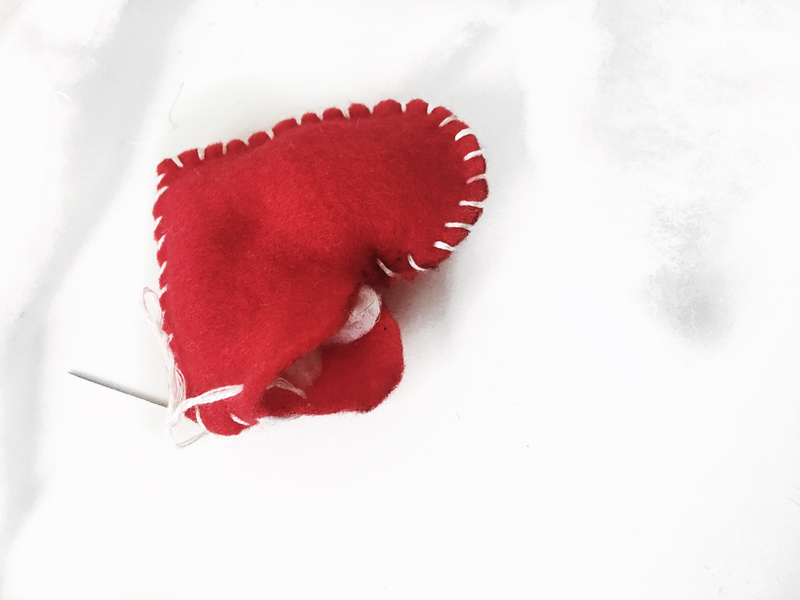 Create a basic hemming stitch which goes around 3/4 of the heart. 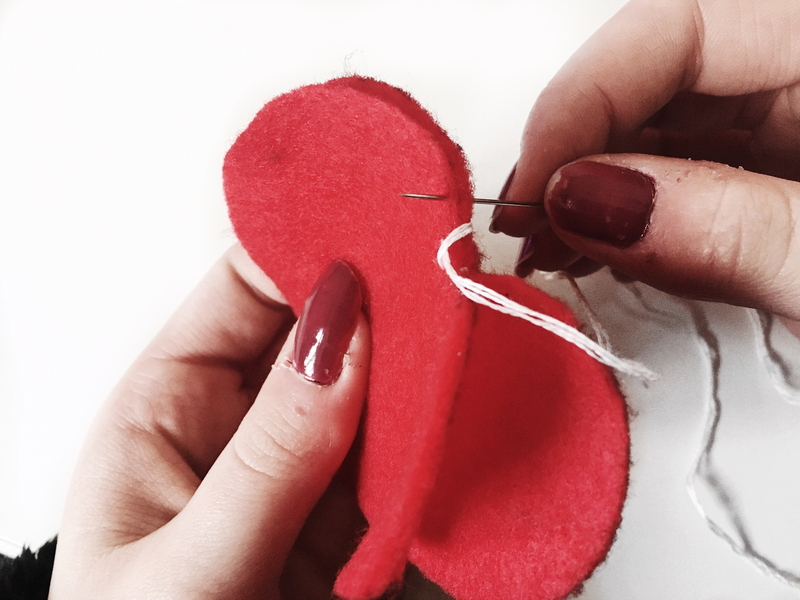 Before finishing the heart cut off a small piece of wadding and stuff it inside the heart. 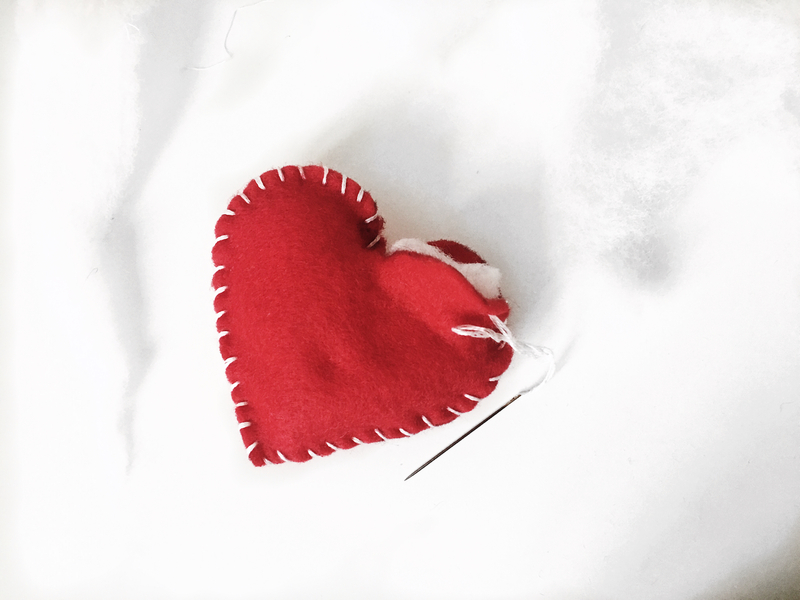 Finish stitching the heart after it has been filled. Tie off the end of the thread and the heart is completed. If you want to add some writing the best time to include it would be between Steps 3 and 4. 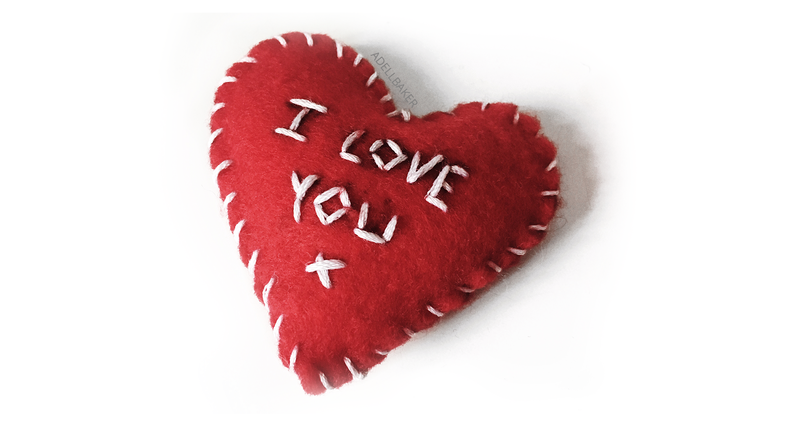 When you have the felt heart cutout it will be easier to stitch the writing on. The easiest way to do this is to draw the text onto the heart and just threat the cotton along the letter. It takes a bit more time but the results are adorable!! 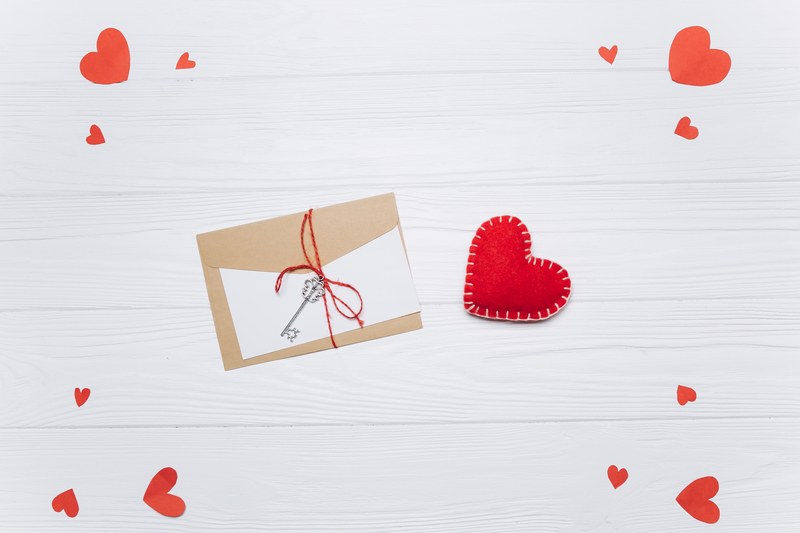 And that’s really it, you can add some ribbon, maybe leave a secret message inside or even add a cute ribbon! The options are up to you. This DIY is super easy and won’t take too long to create this small masterpiece. 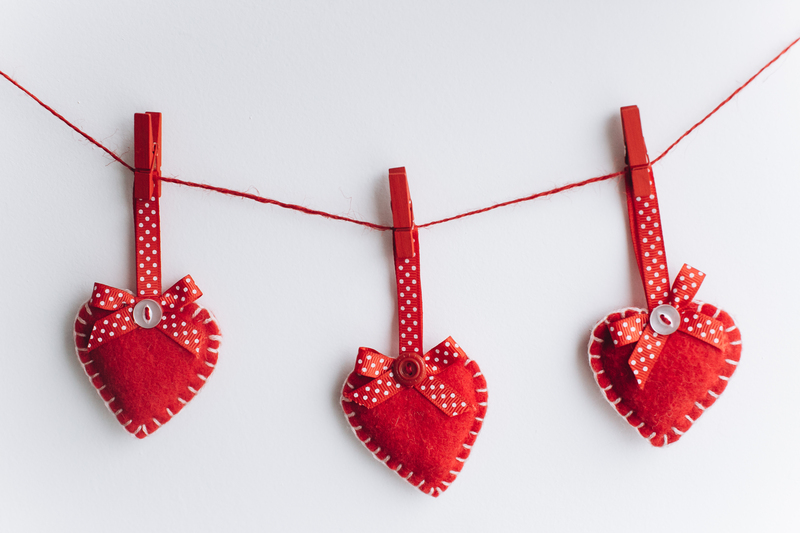 You can also buy these hearts here if creating stuff is not your jam. If you love this project, let me know so I can start getting creative with different projects.